A guest post from Fran Geddes, Digital Marketing Executive at B60 Apps. B60 are a leading emerging technology agency, specialising in providing digital and technology solutions to drive growth within businesses. The way we interact with our bank is changing; and it has been for a while. New technologies have stimulated real digital disruption within the finance sector, with new FinTech firms popping up to muscle in on the action. Smart Money People data shows that just 11% of the UK population prefers visiting a branch to carry out their banking business. However, as the popularity of apps continues to rise, will they ever totally remove the need for the banking branch? FinTech start ups are shaking things up within finance, putting applications and emerging technologies at the forefront of their business strategy (it’s frankly cheaper to manage customers via an app as opposed to banking branches). Monzo, the self-proclaimed ‘bank of the future’, has over 35,000 people on its waiting list to become part of the FinTech revolution. 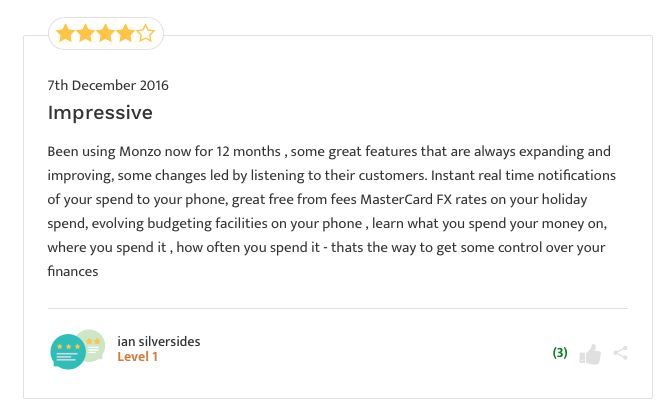 Monzo offers customers real-time spending notifications, zero fees even abroad, clear and intelligent budgeting, instant payments to other Monzo users and quicker payments to accounts. The Monzo current account is currently being rolled-out to existing Monzo customers (Monzo started life as prepaid card). Along with the likes of Starling Bank and to a lesser degree Atom Bank, these banking applications are forcing banks to up their app games as their customer’s expectations continue to grow. The truth is, people have less time to visit a branch, especially for the simple day to day tasks, and therefore customers are seeking quicker, more efficient methods of handling their finances. Apps offer a 24/7 service, allowing for users to handle their finances outside of branch opening hours, or for many consumers, are doing a good job of replacing the branch experience all together. 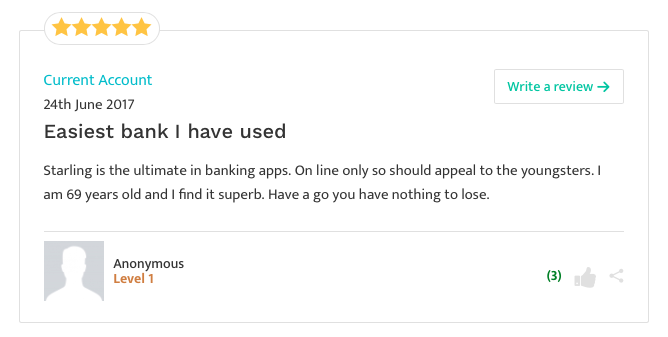 Generally, traditional banking apps allow customers to view transaction history, pending transactions, and set up payments and transfers – fairly basic compared to the likes of Monzo and Revolut, which, while loved by tech-savvy early adopters, have a way to go to displace your mum and dads HSBC account. Research shows that human interaction is still valued by many consumers, especially for more involved processes (like a mortgage application) and especially when stuff goes wrong. It’s also fair to say that a number of consumers find it difficult to trust technology, especially when dealing with large sums of money. One of the most exciting new elements within banking applications is the rise of chatbots and artificial intelligence (AI). In the long-term, artificial intelligence could replace many tasks performed by customer service staff. And although sceptics may argue AI chattiest could never match the warmth and personality skills of some humans, machine/deep learning is developing AI to the extend that its becoming increasingly sophisticated. AI has already come a long way in recognising the content and context of customer’s queries and requests…but the role of AI in transforming banking is no way near completion. Today, AI typically means recognising key words and using natural language processers and deep learning, so that machines can recognise the meaning of words in different orders and ask questions to gain further context and assist the customer more efficiently and accurately. Although AI is unlikely to replace humans for a while, chatbots are beginning to be implemented to deal with low-level requests, complaints and queries. For example, American Express previewed the new Amex Bot for Messenger Feature at Facebook’s F8 in April 18. Just imagine no longer having to sit through draining hold music, but being immediately directed to an AI assistant who can offer a personalised experience whilst stimulating brand loyalty by wishing customers happy birthday or offering them a money-off voucher ahead of their Tesco shop later that day. The number one concern around mobile is security. As security checks become more advanced, customers may begin to trust mobile banking more. Failing this, many banks continue to reassure their customer’s of the safety of online banking. When accessing your accounts at home, using a secure desktop on your personal secure home network is very safe, however, when out and about a mobile application is actually the safer option. Apps are unlikely to wipe out branch banking all together for a long, long time. Whilst younger generations tend to embrace new technologies, people who regularly use branch banking may not be so willing to accept the shift in channels. For apps to replace branches, people need assurance that mobile banking is secure. They also need the apps to match the customer service of a bank, meaning chatbot and AI features need to be implemented into all banking applications so there is less need to turn to a bank branch. But, thanks to a number of FinTech apps, banks are being forced to raise their game and offer a better standard of apps for millions of customers.